Customers and convention goers were SO SWEET! Overall, lots of people had fun. I enjoyed meeting artists and seeing my friends again. 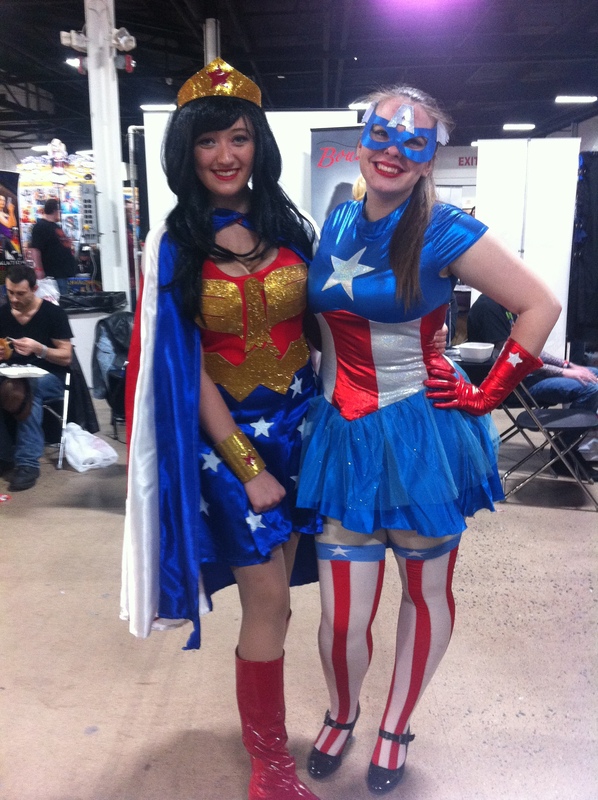 This was my first comic con of 2015. The fan turnout was great! Fans of Star Trek were very pleased with George Takei, Nichelle Nichols (sweet, sweet woman! ), Jonathan Frakes, and Walter Koenig. George Takei walked down the Artist Alley aisle I was in and waved to me, haha! Also, Nichelle complimented my Star Trek uniform and Jonathan Frakes did the same. My geeky side is showing, haha! I had an amazing time in Artist Alley. I dressed up as Martha Jones, Zoe Washburne and a Captain from Star Trek: TNG! I like having fun with that while selling my stuff because it makes great conversation with everyone who walks by. Hopefully, I will see everyone I met this weekend at Awesome Con next month. This was the first convention in Oaks, PA from the Great Allentown Comic Con organizers. I would like for them to be better with communication for the next year. My friends who also did Artist Alley were not happy about contacting the organizer personally on Facebook to get a response about payment and placement. I am sure they will make next year’s GPCC a better experience for everyone. Now, look at the flowers photos! It was a really good comic con and it was nice to meet you. I’m the one that was dressed as Speed Racer. You took a very nice picture too, wish I hadn’t forgot my red neckerchief. Hi Derek! Thanks! Do you have cosplay page/website I could add to your photo? You make a great Speed Racer! You’re welcome! and you’re welcome. I just have facebook, if you guys have a page I can tag myself to it. Thank you so much.